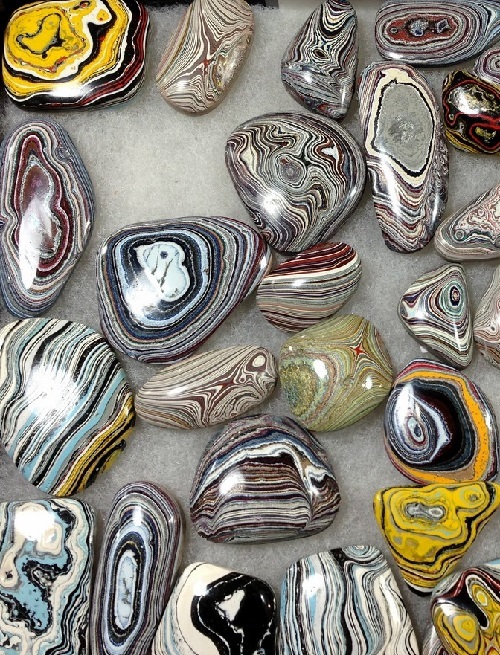 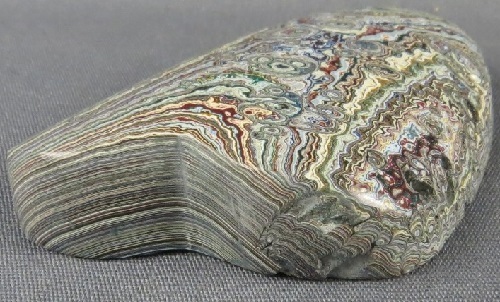 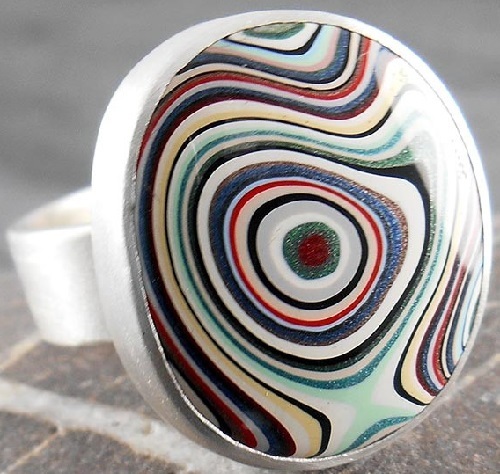 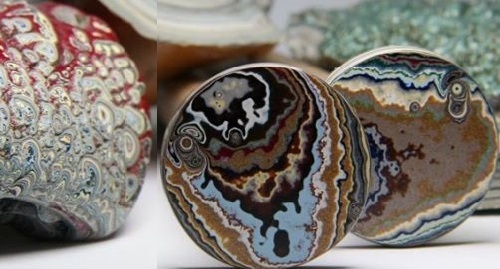 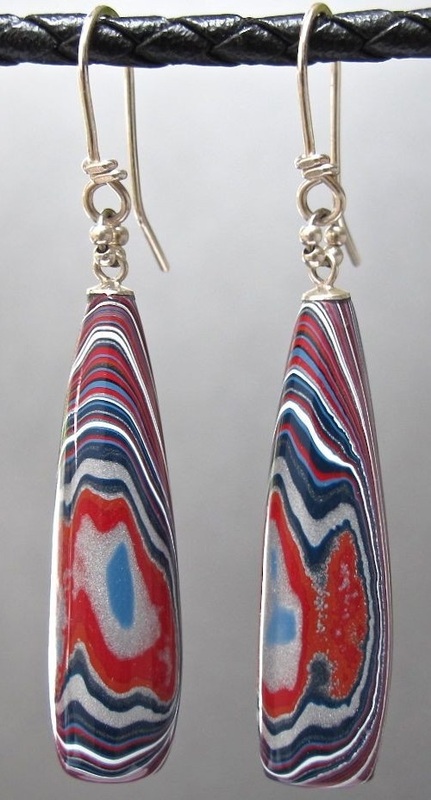 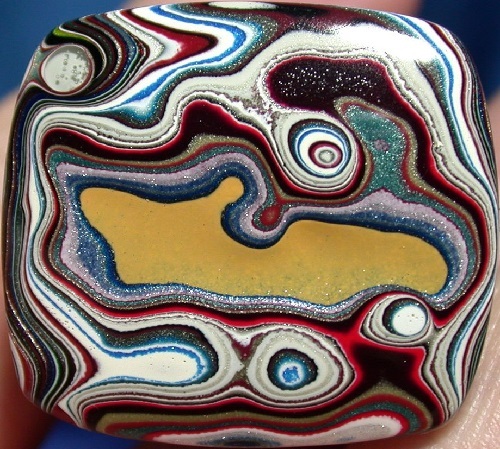 Fordite, also known as Detroit agate, is a unique handmade material for making Eco-friendly jewelry. 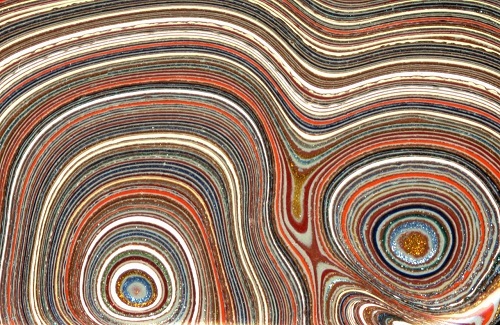 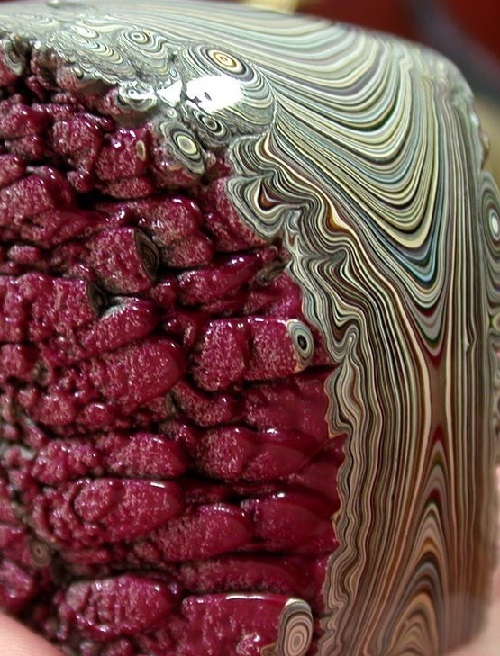 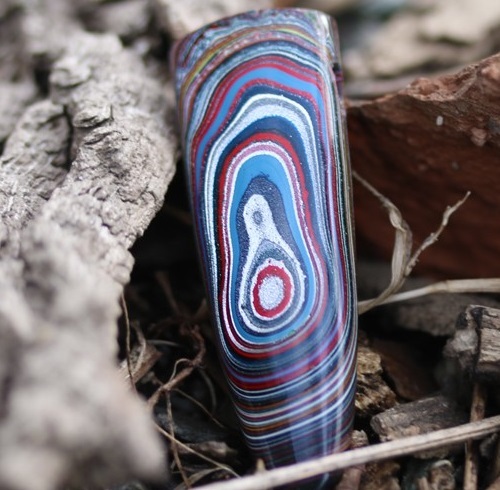 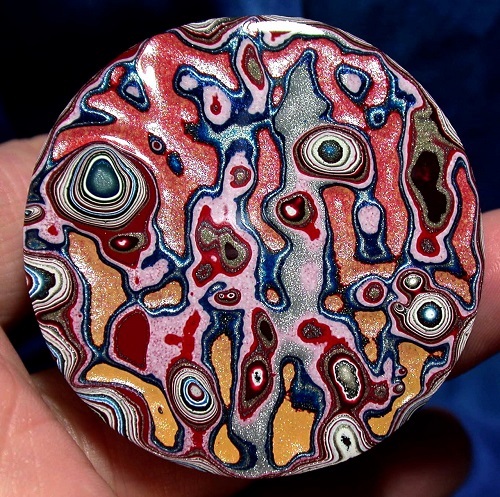 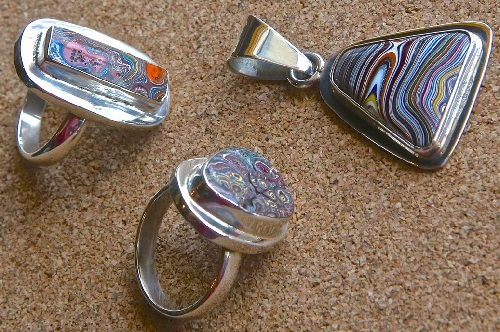 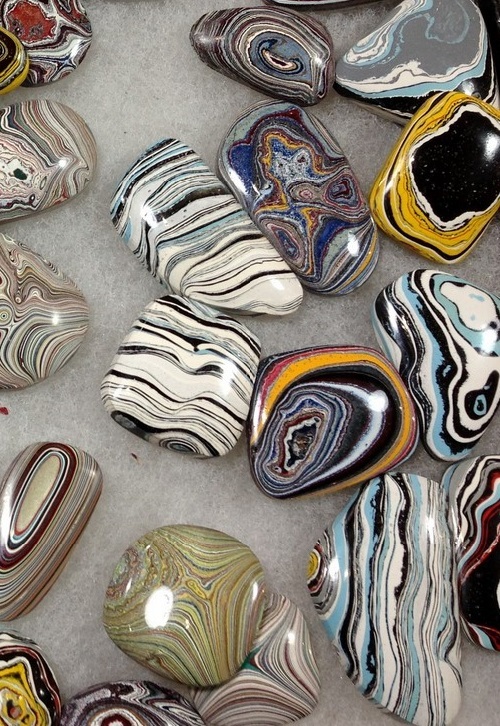 Fordite psychedelic patterns, after being cut and polished turn into real piece of art. 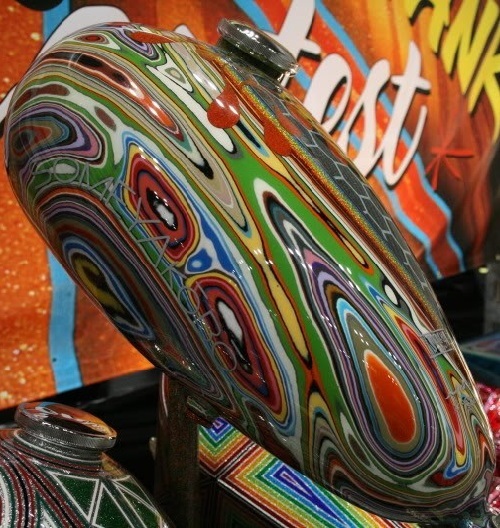 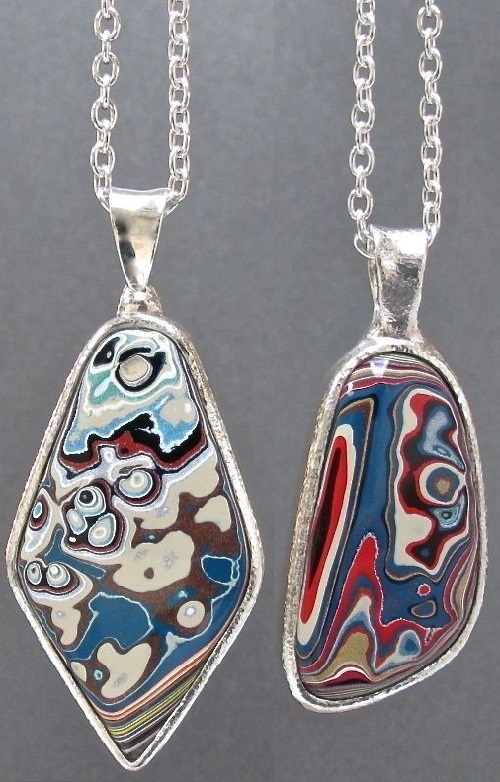 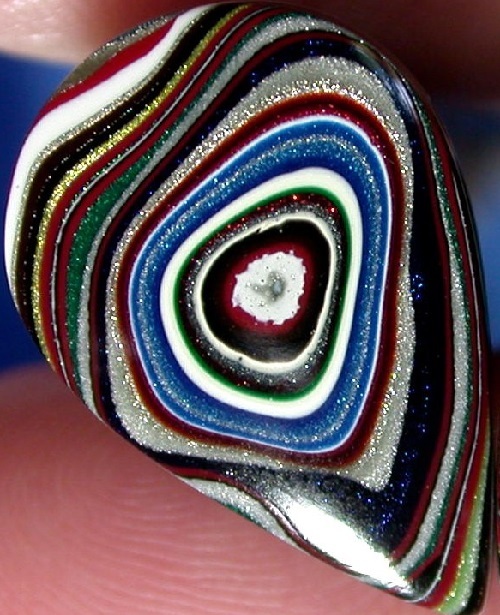 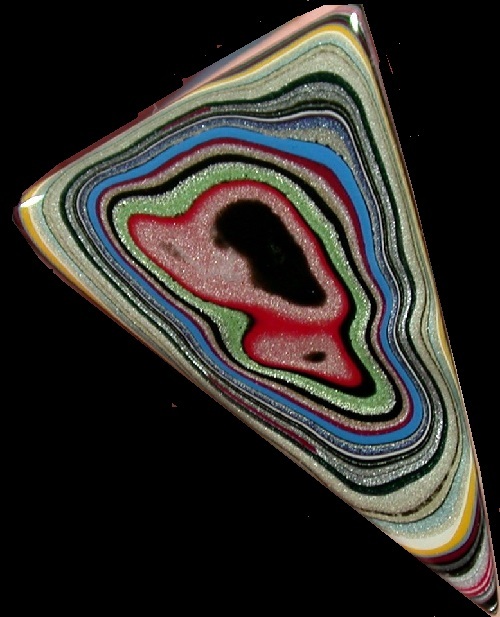 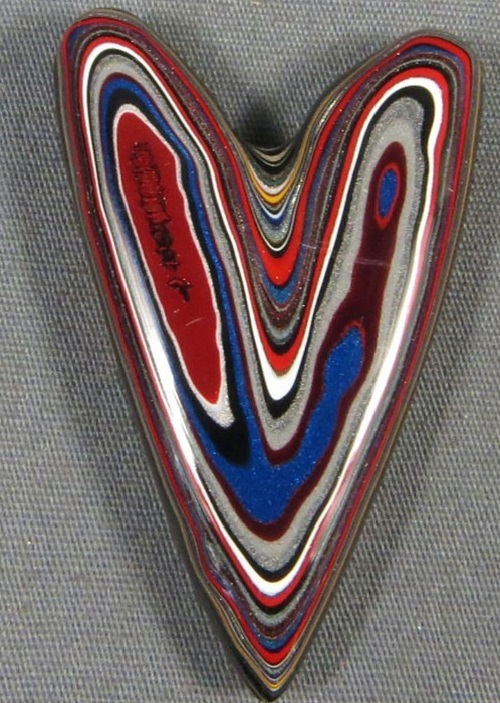 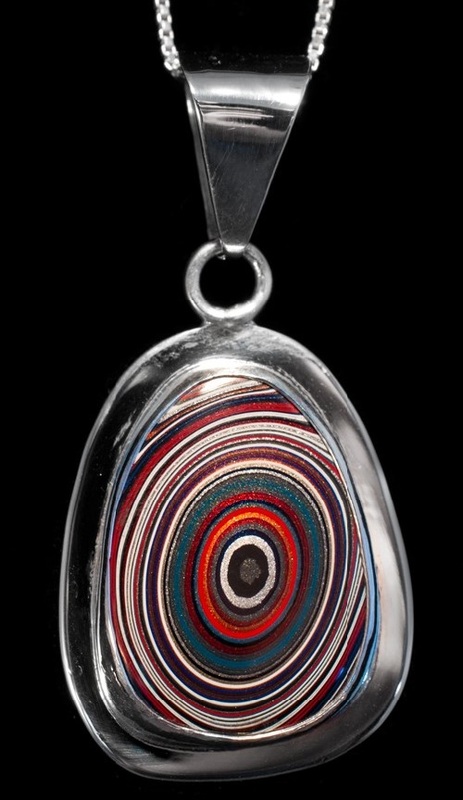 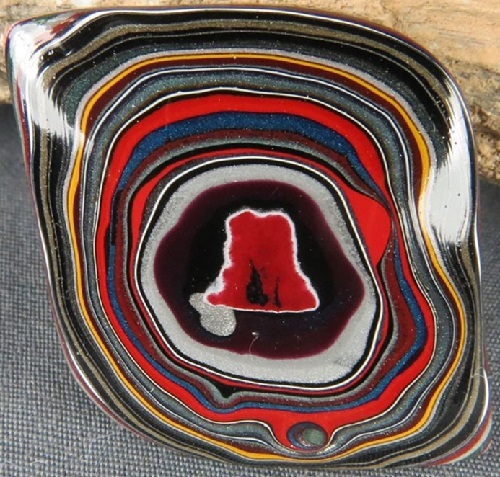 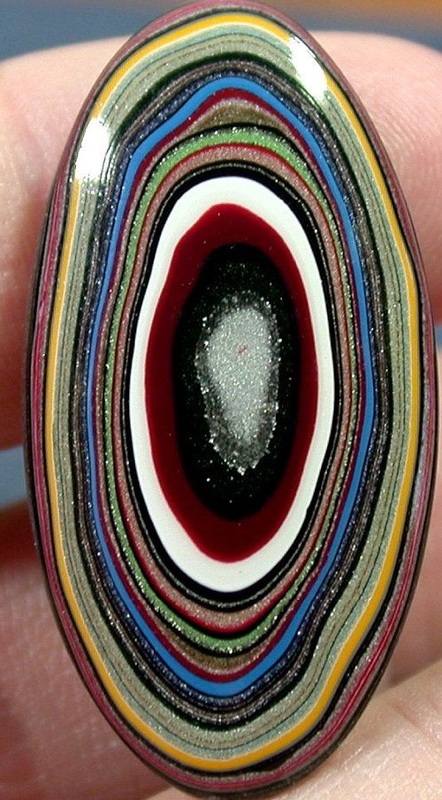 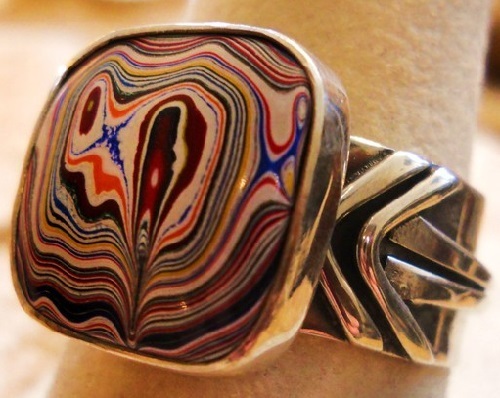 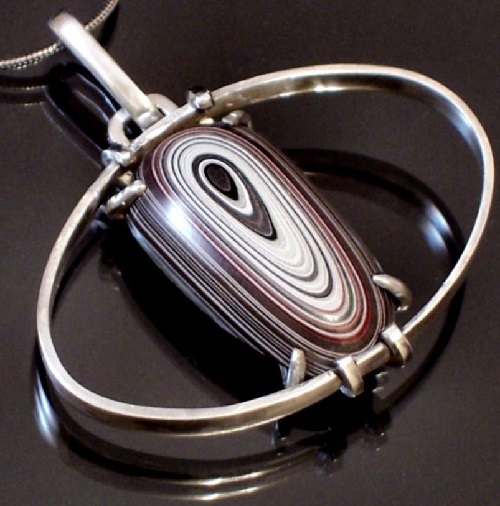 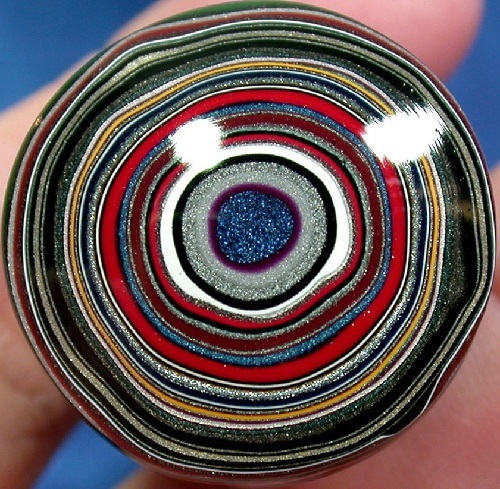 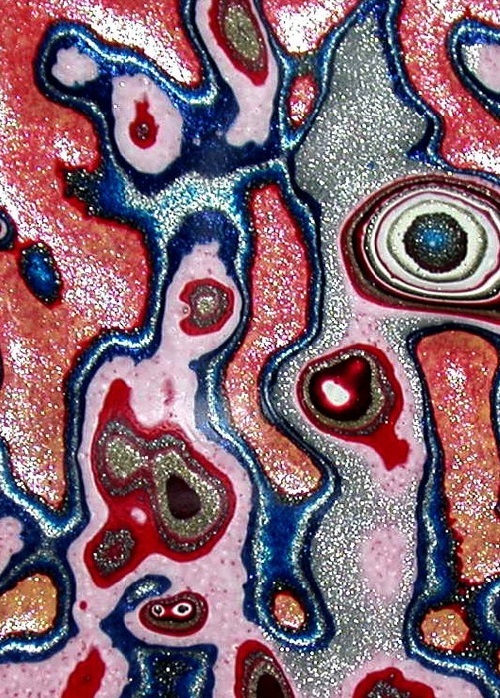 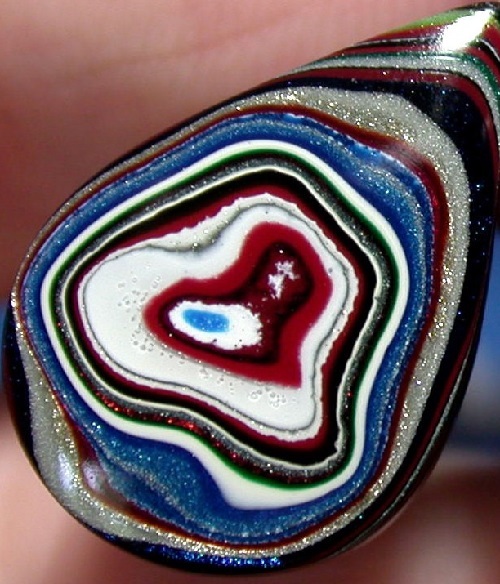 The history of artificial urban gem Fordite is very interesting. 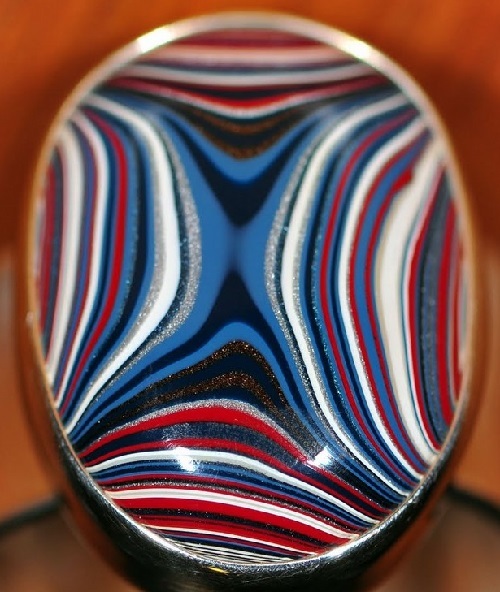 Fordite is an automotive enamel material, made incidentally some years ago, from old practice of hand spray-painting multiples of production cars. 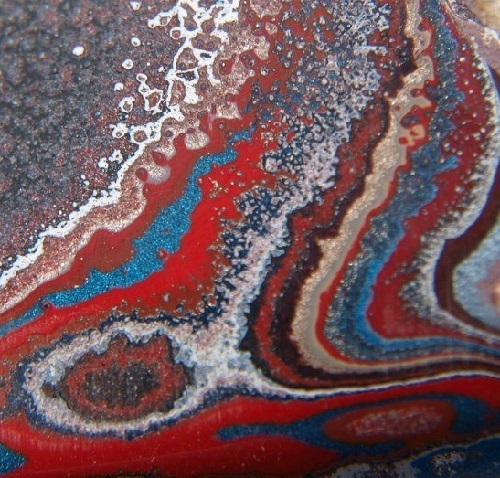 It was formed from the built up of layers of enamel paint slag on tracks and skids on which cars were hand spray-painted. 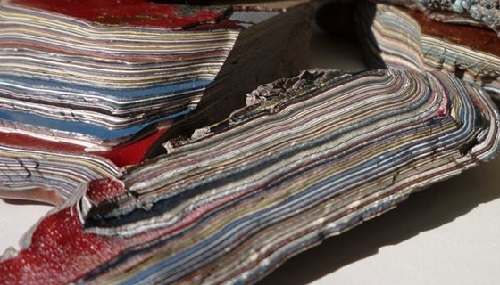 The over-sprayed paint in the painting bays gradually built up on the tracks and skids that the car frames were painted on. 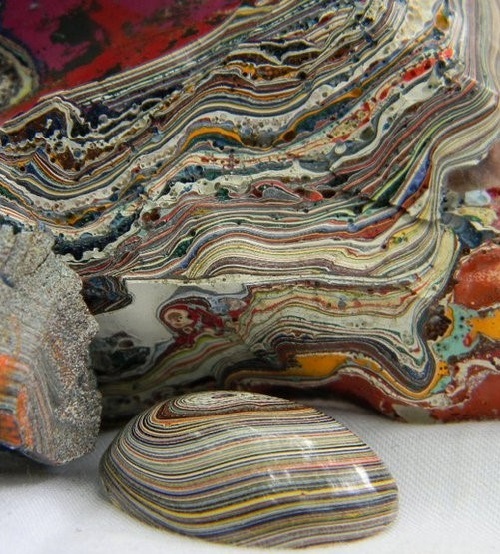 Over time, many colorful layers built up there. 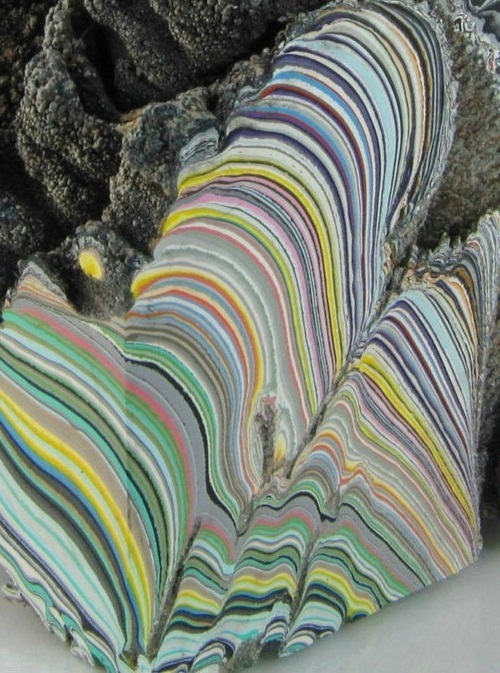 These layers were hardened repeatedly in the ovens, some of these deeper layers were even baked 100 times.